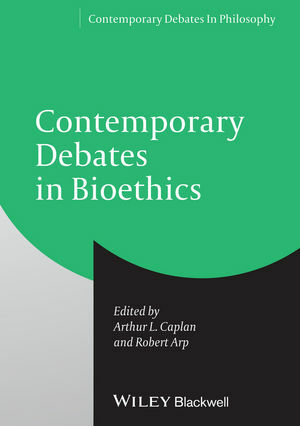 Contemporary Debates in Bioethics features a timely collection of highly readable, debate-style arguments contributed by many of today’s top bioethics scholars, focusing on core bioethical concerns of the twenty-first century. Arthur L. Caplan is the Drs. William F. and Virginia Connolly Mitty Professor and Head of the Division of Bioethics at New York University Langone Medical Center in New York City. He is the author or editor of 30 books and more than 550 papers in refereed journals. His most recent books are Smart Mice Not So Smart People (2006) and the Penn Guide to Bioethics (2009). Robert Arp is co-editor of Contemporary Debates in Philosophy of Biology (2009), author of Scenario Visualization: An Evolutionary Account of Creative Problem Solving (2008) and co-editor of Information and Living Systems: Philosophical and Scientific Perspectives (2011).